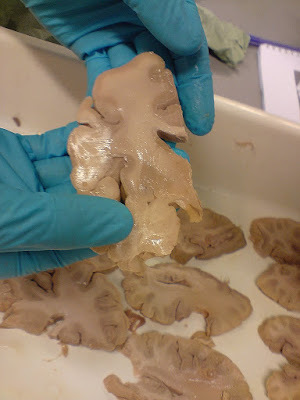 Let's take a few steps back first; the brain consists of gray and white matter. The gray matter consists mostly of the cell bodies of the neurons. This is the place where most of the actual work is done (signaling etc.). The white matter is connecting all these cortical and subcortical gray matter areas, and is actually very important too! The way in which all the gray areas are connected is the main reason why the system can do such complex calculations. A lot of popular research has mainly focused on gray matter anatomy and function, since these are the regions that activate in functional MRI studies, activate EEG signals and lead to actual behavior and movement when poked with electrical or magnetic pulses. Until relatively recently (~1970 development of MRI), it was quite invasive to study white matter in living individuals. Function could be studies by lesion studies, but mostly studies of white matter structure used postmortem brains. The development of MRI and subsequently diffusion MRI changed this. 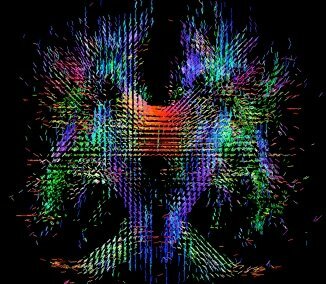 Diffusion MRI is based on regular magnetic resonance imaging principles, a technique that's been around for roughly half a century. MRI is based on the feature that protons like hydrogen (the H in H2O, a substance you have plenty of in your brain and body if you remember to stay hydrated) spin around, and when a magnetic field or gradient is applied these protons align to the applied field and you can measure their spin and their slow decay back to their relaxed state. Due to differences in tissue characteristics the rate of relaxation differs in each part of the brain and thus sends a slightly different signal back to the receiver coil. 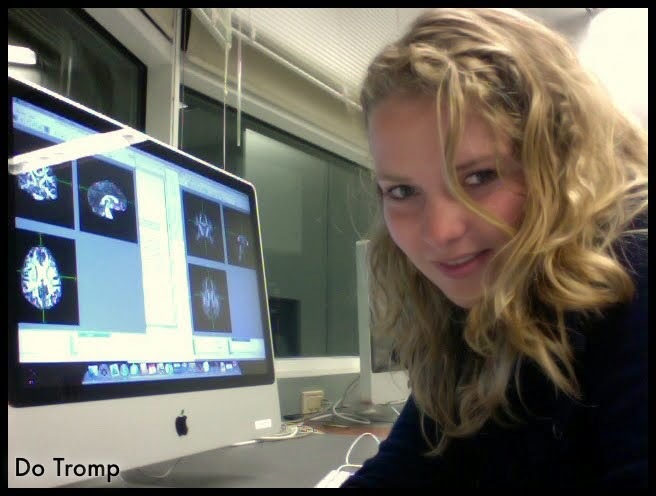 When you then decode where that signal came from you can make 3D images of brain structure. 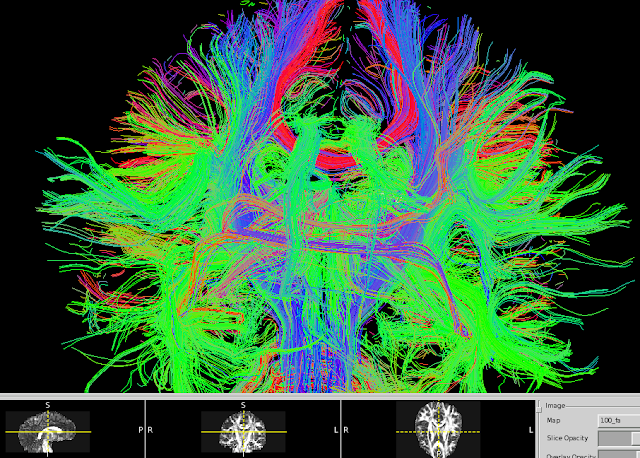 The goal of diffusion MRI and specifically diffusion tensor imaging (DTI) is to image the diffusion of water in the brain. DTI uses the curious fact that water is always moving (due to Brownian motion), this leads to natural diffusion of water at all times. In addition to a strong magnetic field different gradient fields are applied to the brain, so that as water moves in different directions these gradient fields can label that movement differentially. What happens is that water molecules that moved during this magnetization will have a different magnetization than their neighboring water molecules which leads to a change in image contrast. When you do this in more than six directions you will actually be able to calculate the direction of water diffusion. Which you can see below. Red for example means that the diffusion direction is in the left-right direction, green indicates front-back, and blue up-down. Besides the direction of water diffusion you can also measure the amount of diffusion. 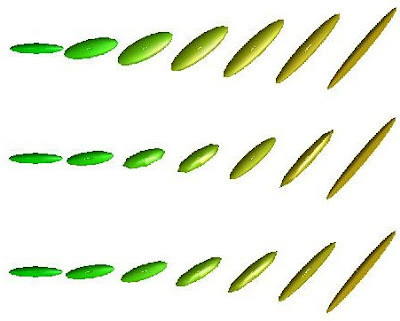 When you combine the direction and amount of diffusion you can compute what they call a tensor, these are ellipsoids with a direction. The value of the tensor in each point in the brain can be quantified using different methods. One method uses fractional anisotropy (FA), which quantifies the relative length of the tensor compared to the width, or a different way to think about it is that it quantifies the fraction of the tensor that is non-isotropic. The microstructure of the brain determines the diffusion of water. Water inside white matter tracks preferentially diffuse along the same direction as the actual white matter fibers and myelin. While in gray matter the microstructure is less organized, yet dense so that water can not diffuse in many directions, thus producing ellipsoids that are more isotropically (ball) shaped. Models of water diffusion in white matter will look like ellipsoids that are more anisotropic, as in the picture above. 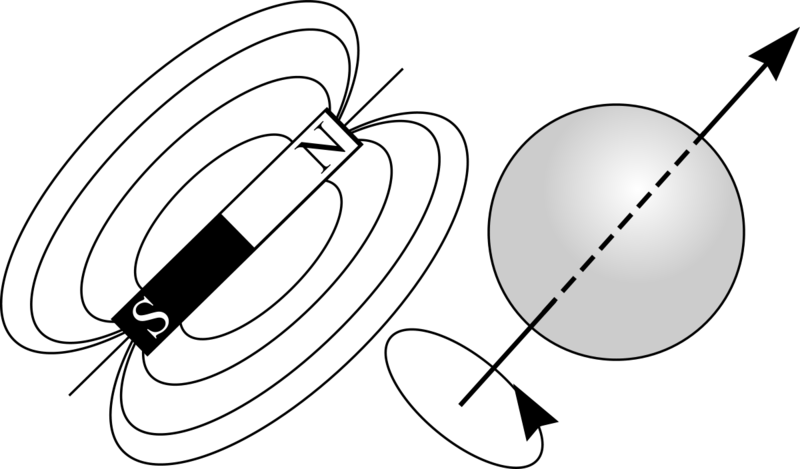 While tensors in gray matter and cerebral spinal fluid are more isotropic (ball shaped). Each point (or volume pixel, aka voxel) has a tensor with a direction and a relative anisotropy. In addition to running whole brain statistics, the individual tensors can be used to run fiber tractography. Deterministic tractrography allows you to get a rough impression of how white matter pathways run through the brain. Mathematical algorithms include fiber assignment by continuous tracing (FACT) and tensor deflection (TEND) to follow the direction of each tensor and then step to the next voxel in order to run tractography through the whole brain.